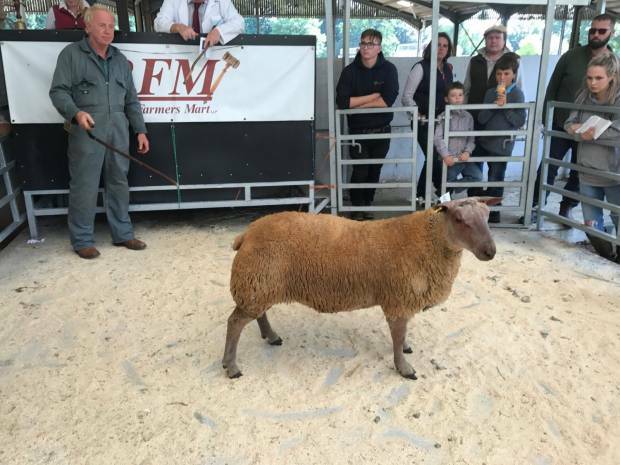 Rugby Farmers Mart welcomed NSA members to Stoneleigh Market on Friday (31st August) for their 10th Annual Ram Fair. A catalogued entry of 121 rams were forward covering several breeds with the predominance being Continentals. Prior to the sale a show took place and the judges this year were Tom Willoughby, Leyburn and Roger Coombes, Burford. They ably went about their, task, looking for animals which suited the modern market, looking for flesh, length, skin, paying particular attention to teeth, testicles and locomotion. The final line-up had Barbara Smith’s pen of Texels from Slapton, Towcester, Alan Thomas’s pen of Charollais from Kimcote, Leicestershire and a pen of Beltex Crosses. After deliberation the pen of Texels secured the Championship and the Heygates Perpetual Trophy for the Smith Family. 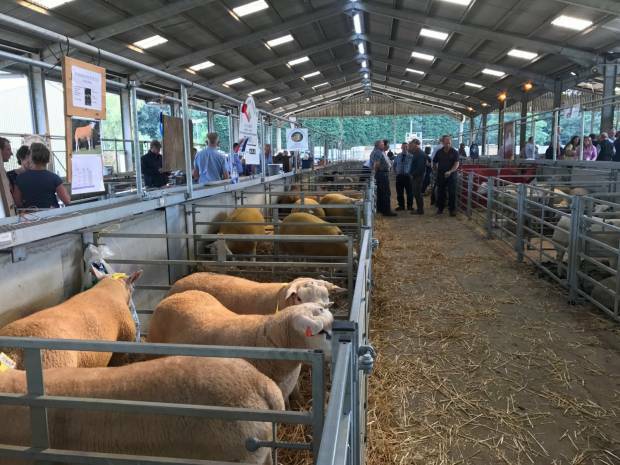 The ringside and alleys were packed at sale-time and an excellent trade was had for all sheep with purchasers prepared to pay 400-600gns for good commercial animals. Top Price was 700gns paid twice for animals from the champion pen from Messrs Smith purchased by the judge Mr. Coombes and Dave Mitchell. Alan Thomas filled the ring with his 1st pen of Charollais which sold at 680gns with the purchaser taking all 3. Suffolks sold to 640 gns from J.B. Cook, with cross-breds topping at 530 gns from Colin Roots. The strength of the trade was shown by well over 100 rams finding new homes. Auctioneer : Craig Thompson, Rugby Farmers Mart.